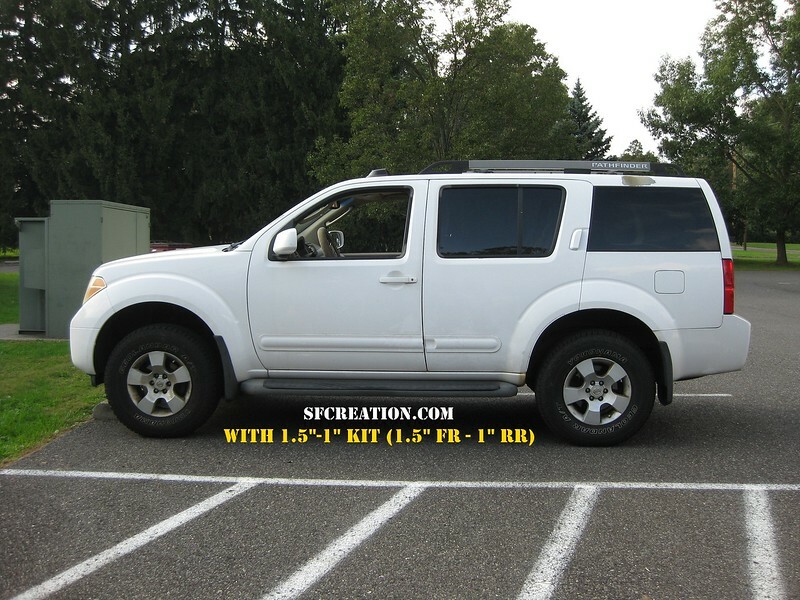 SFCreation is very proud to present you with the R51 lift kit. !! Made from time proven HDPE polymer they are as easy to install as they can be. The front spacers directly installs on top of the struts and the rear go on top of the coils. Unlike the R50, the R51 does come with adjustable camber; so no extra bolts to buy. The kit comes with everything including thread locking compound. 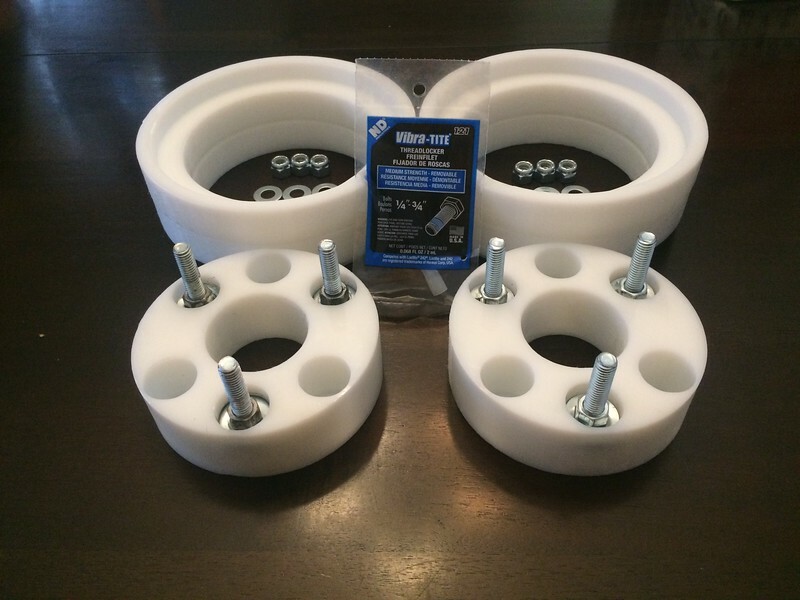 The front spacers are already assembled with new studs so you don't have to. 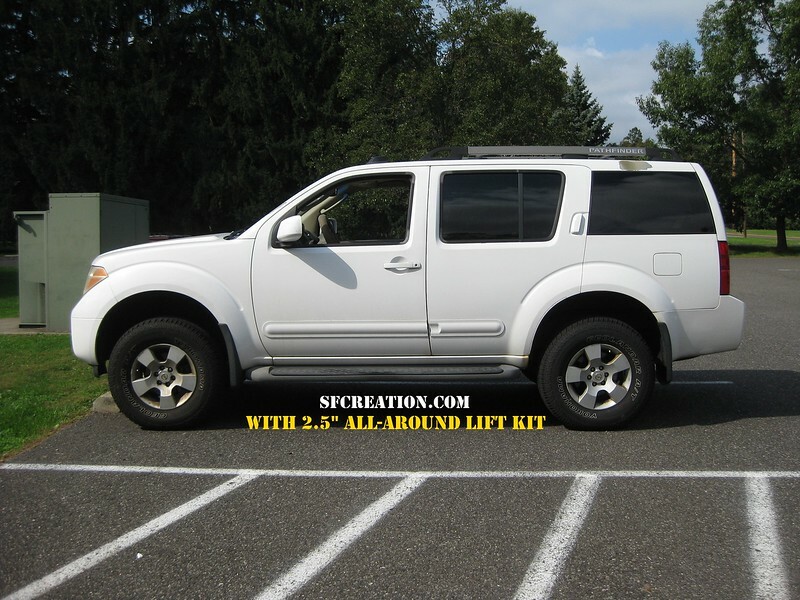 Simply the most affordable solution to lift your R51 Pathfinder on the market today. Of Course, Like the lift kit we made for the R50, the rear spacers are stackable. This mean if you buy 2" of spacers, you can install 1" or the full 2"..
We have the 1.5"fr-1"rr for 1.5" of lift in front with 1" of lift in rear and we have the 2.5" all around. 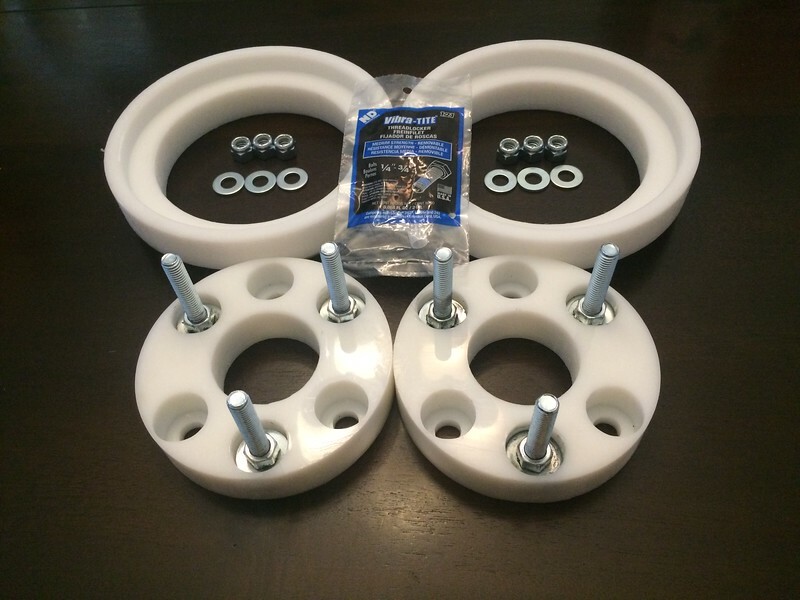 We offer 2 kits but you can always build your own by choosing the front and rear spacers separately ! Here's a few pictures ! Nice to see more options for R51. Thank you. Thank you for this clarification. Do you have any front camber bolts options I could direct future customers to ? Good stuff man, nice to see that more items are coming out. With regards to the camber bolts, the below was pulled from the sticky. From what I understand, the OEM are the best to buy. Not sure about aftermarket. 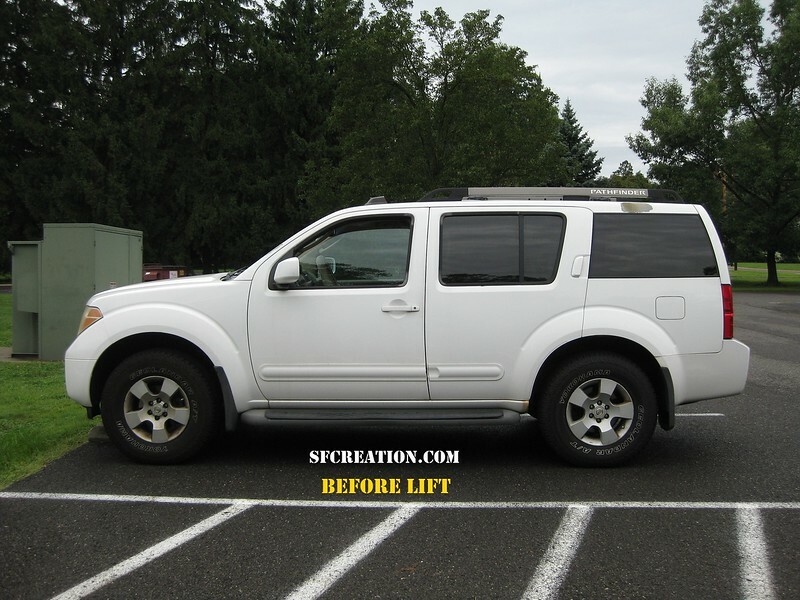 Also check out Nissteclifts.com if you are in the US and need parts installed.